A picture is worth a thousand words. And we all know how important SEO is in this day and age. A good SEO strategy and awesome content is the key to more traffic and leads for your business. We all know – or should know , Google is a huge player in the world of SEO and it’s crucial that we use it to it’s full potential to drive as much traffic as we can to our content. Today we’re going to cover how you can use Google Images to your advantage to gain more traffic for your website. Back to the SEO basics. We’re going to need to optimize our images on our website to get the top spot in Google images search results. An important but overlooked part of image SEO is the filenames. More often than not, when you import an image from a camera, it will have some generic filename like DSC_0001.jpg. This isn’t going to help describe the photo and earn it points for the sake of SEO. Instead of just a random letter and a pixel size, we gave the file a name that better describes it for search results.Another important tip is to always modify your image’s alt tags. Alt tags are a piece of metadata that tell search engines what your images are. Depending on where you plan to use the image will determine what the optimal size for a given image will be. In terms of your website, you’ll have free reign on how big you want your image to be. But, once you’ve determined the proper dimensions, optimize the image for web use with a tool like GIMP. GIMP is a free open source image processing platform that has the same capabilities as the expensive paid programs. Optimizing the image will retain the quality but reduce the file size to improve load times for your customers and improve your SEO ranking. Make your own awesome photos! Stock photos are only good for so long. Yeah, you can find some awesome stock photos sometimes, but they’re pretty ordinary and its quite possible that other people are using them as well. Creating your own unique photos if you’re able to is an awesome way to stand out in a crowd plain boring photos in Google Image results. Watermarks are a great way to ensure you’re recognized for your content. That being said, they can also be tricky to utilize for the sake of SEO. Watermarks should never be one standard size. If they’re too small, people can easily crop the image and you won’t get any brand recognition from your work. If they’re too big, they’ll take away from the image and that’s not a desirable outcome either. Watermarking an image is a relatively quick and painless process. Canva is a great, free tool to add your logo and resize it for use with to an image. Experiment and use what looks best for a particular image! Google images make up 10.1% of Google’s total web traffic. 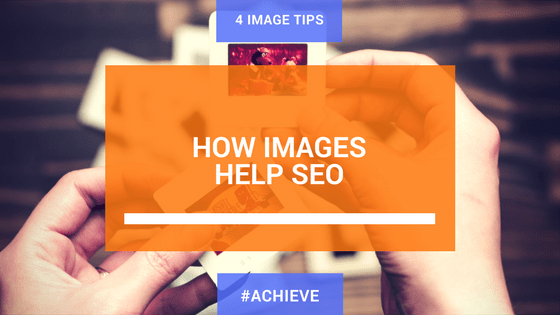 Given that Mail uses 24% and normal web search makes up 55%, Google Images is a significant source of traffic that could be channelled to your website. Using the same SEO principles we use for normal web content we can step up our photo game and reap the rewards. A picture is worth a thousand words, let’s turn those words into traffic for your website!